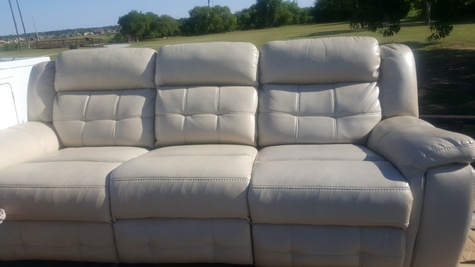 Full size leather couch. Center fold down console with two drink holders. Both ends recline and foot rests come out. Almost new. Very good condition.